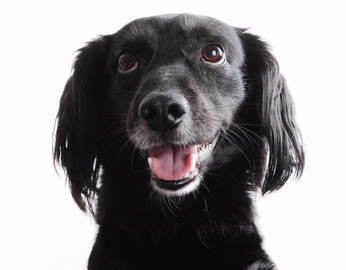 If, like the most of us, your pet is part of the family, then you aren’t going to leave your beloved pooch behind too often. So we’ve taken a look at some of the best dog travel accessories around and some of them are surprising! 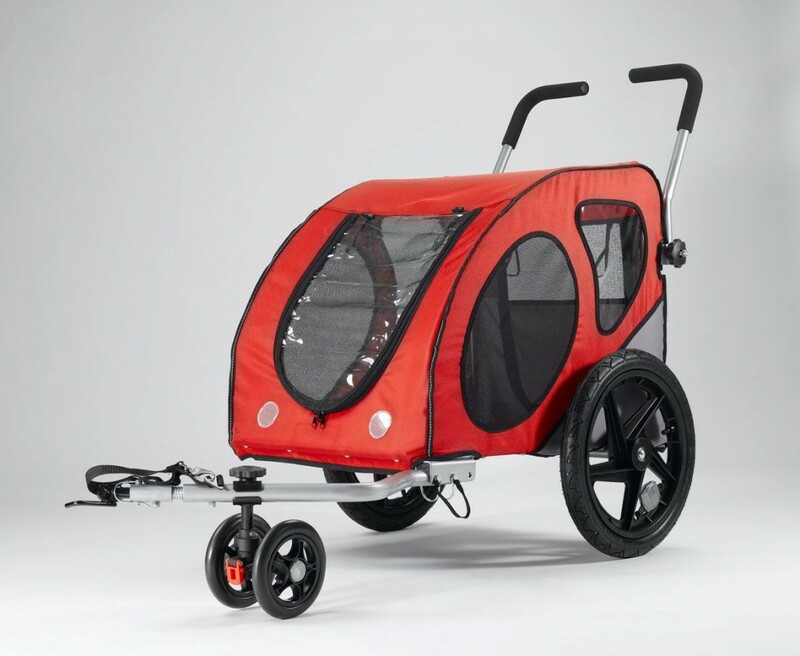 Billed as a ‘convenient and comfortable way to take your pet on a long walk’ this is a pram for your pet and is a way of transforming the PetEgo Kasko Pet Trailer into a ‘stroller’ as they like to call them in America. Perfect if you want to go on a walk that your pet might not be able to manage. Some smaller dogs can get tired on long walks, so this is a perfect solution, especially if you are keeping fit. If you have a dog that is less than 10kg, then you could bring them cycling. This bicycle basket and plastic guard from Aumüller will ensure your pet is in good hands, allowing you to enjoy cycling together. 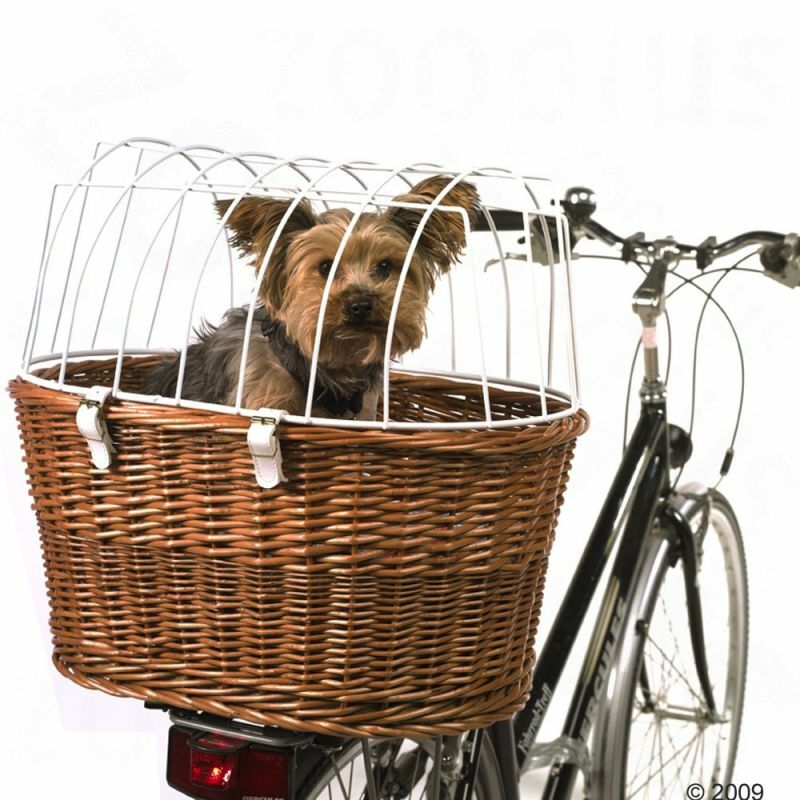 The high quality, handwoven bicycle basket for dogs, is made from European wicker. The stable luggage rack bracket can be attached to the bottom of the basket and can also be used on e-bikes. If you are out for a long hike, there can be enough to carry, especially if you have kids with you, so perhaps it is a good idea for your dog to share some of the load too and bring their stuff. 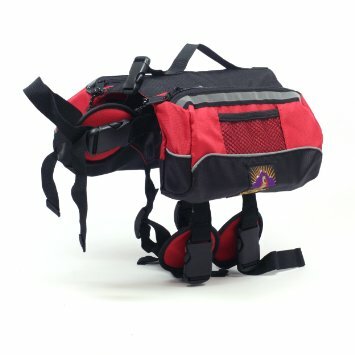 You can add some of their toys and food to this Outward House Quick Release Dog Backpack, which attaches quickly using velcro and is also very quick and easy to remove if you think that your dog needs a break. 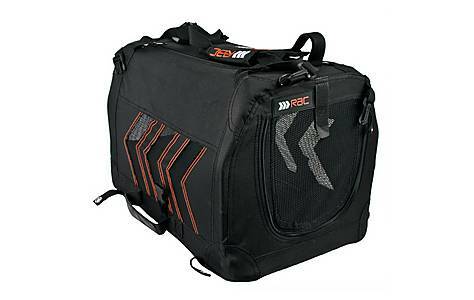 It is made of durable nylon and features large storage pockets. Have you ever gone for a game of golf and wished you could have brought your dog along to watch? 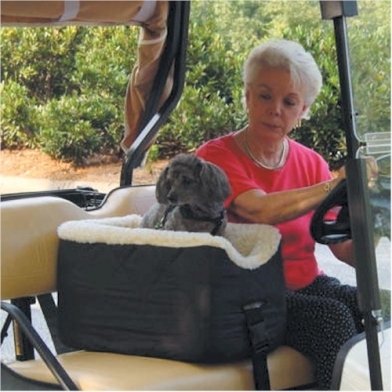 Well if so, then this is the product for you - the Golf Cart Lookout Pet Seat. With a comfortable foam forming interior with lambswool padding provides a cozy place for your pet to relax.It also doubles up as a bed for indoor use too. This is super comfortable for your dog, just make sure your local golf course is dog-friendly! 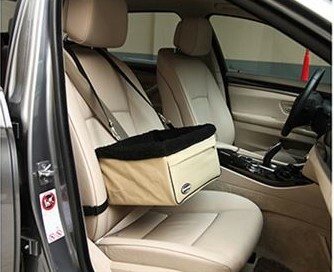 Pet Booster Seat If you carry your dog in the car, it is always advisable to provide some protection, and this booster seat provides a luxurious ride for your dog. 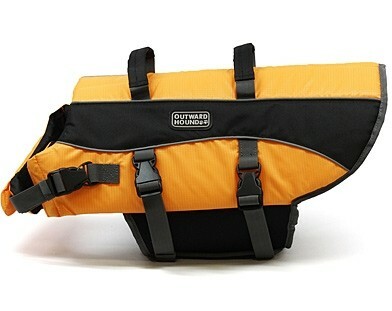 It is suitable for pets up to 6kg this gives them an excellent view as it sits quite high up on the seat. You love your dog, of course, but you probably don’t like hoovering dog hair out of the boot of your car, so this boot and bumper protector is designed in a hardwearing material that protects your car boot from any dog hairs or stains that could occur while your pet is traveling in the boot. The cover also extends over the bumper of your car, so that when your dog makes his way into and out of the boot for your car your bumper is protected from any dirt or scratches that could happen. Car Dog Harness Having an accident with a dog in the car is not only dangerous for the dog itself but also for the rest of the occupants as your dog suddenly becomes a missile (heaven forbid) in the cabin. So a harness is always a good idea. The dog car harness is completely adjustable so it can fit comfortably around your pet. When your journey has finished the harness can remain on your dog as their lead can also attach to it, meaning you can go straight from your car journey out for a walk in the park. You might think that you would need a life jacket for your dog, but this is something that you shouldn’t overlook if you are going to be on the water during your travels as like a human, a dog could get tired if in the water for extended periods of time. The Pet Saver is the ultimate floatation device designed to keep dogs safe in and around water while providing maximum comfort Reflective accents further increase visibility and there is an adjustable torso band, which provides maximum comfort. There is extra floatation at a front of vests helps to keep the dog’s mouth above water level. 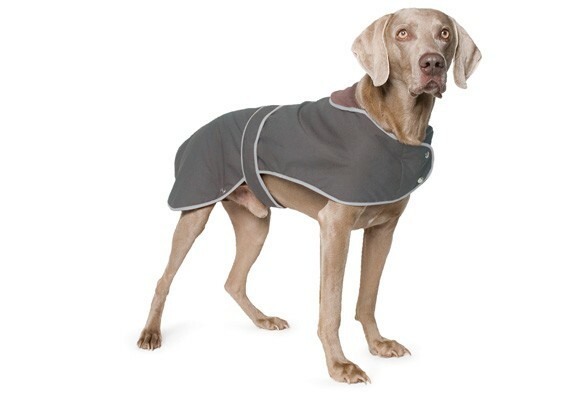 Timberwolf Extreme Wax Dog Coat Available in five sizes, this Timberwolf Extreme Wax Dog Coat will keep your pet warm and dry, it also looks very smart too. 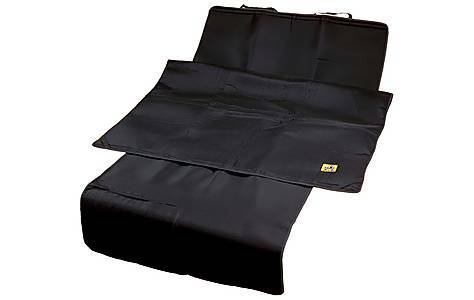 RAC Fold Flat Canvas Dog Holder This very portable dog carrier features ventilated holes to ensure a good supply of fresh air, and this is a very durable and sturdy bag which uses heavy duty fabrics and an extra strong steel frame. It can fold flat for easy storage.